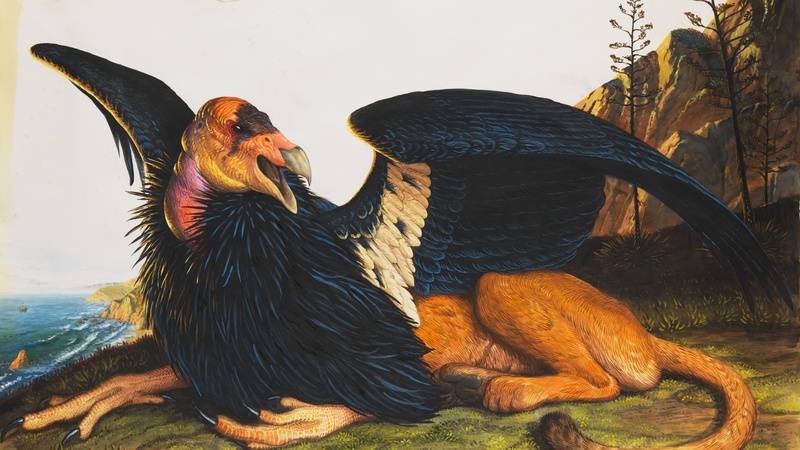 If, like me, you are obsessed with the welfare of P-22 and the rest of the mountain lions, coyotes, bears and other wild life struggling to survive the colonization of Los Angeles, you might like Walton Ford's new paintings. 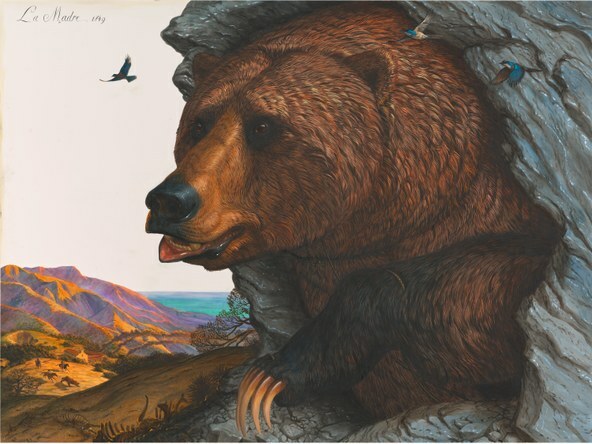 At Gagosian in Beverly Hills, you'll find his watercolors of such animals, some endangered like mountain lions, or already extinct, like grizzly bears. 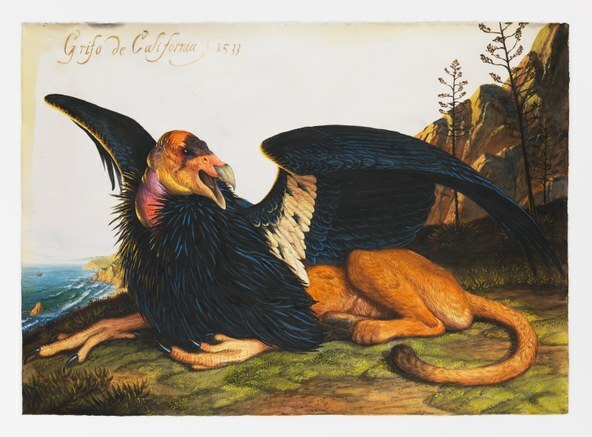 Some are fantastical creatures, such as his hybrid of a condor rendered as a uniquely Californian griffin. All reside in a sun-bleached Southern California landscape of past and present, a mash of violent history and incomparable beauty. 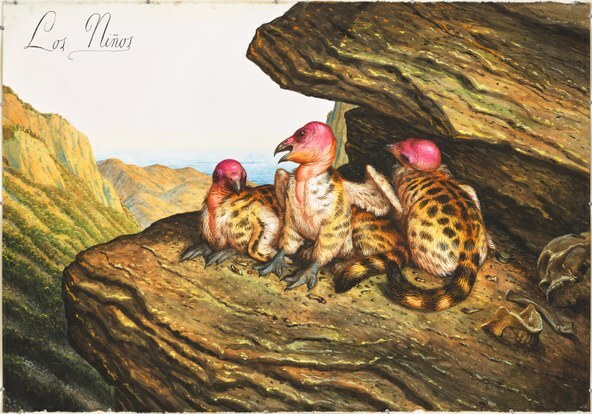 Ford is well-known for an illustrational talent akin to that of John James Audabon, the 19th century painter of birds, but he works on a cinematic scale. An entire wall of the gallery is devoted to three five-foot long panels of the city at sunset. A familiar view of the LA basin, with grids of lights, gives way to a scene of saber-toothed tigers escaped from the La Brea Tar Pits and attacking a mountain lion. Despite Ford's East Coast upbringing, or maybe because of it, he dives into a history of the area that can be lost in the relentless and overwhelming demands of the present. This state was named after the fictional island of California as described in the 1510 novel Las sergas de Esplandián by Garci Rodríguez de Montalvo. In the novel, the island is populated only by dark-skinned women ruled by the warrior queen Calafia. Their armor is made of gold, the only metal on the island. Though inspired by this lively story, Ford's paintings are indebted equally to the Wild West as imagined by Hollywood. The model for his painting of Califia is Naomi Campbell. 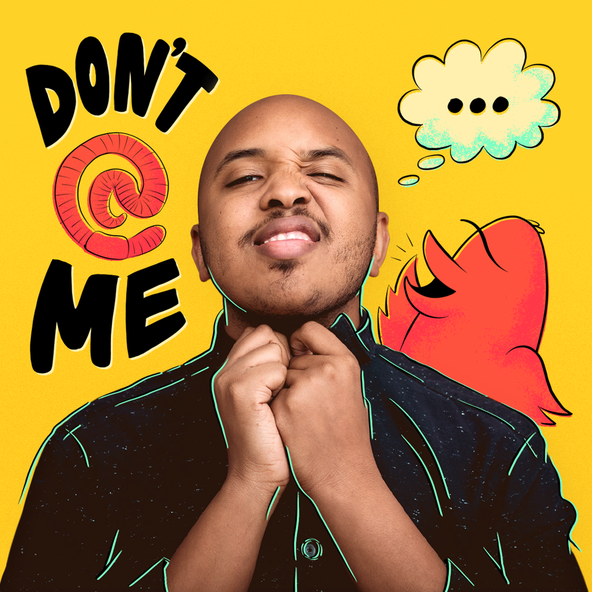 It is Ford's meld of fact and fantasy, his layering of current concerns with those of the past, which coalesce as an exhibition that is teasingly instructional and lavishly rendered. In the upper level gallery at Gagosian, there is a group show that includes Scale Model of the Solar System (1983), a rarely exhibited piece by the late Chris Burden. 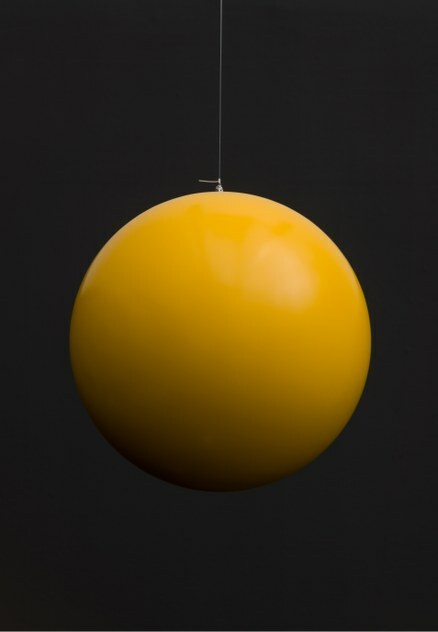 A golden model of the sun, 13 inches in diameter, hangs from the ceiling while vitrines around the gallery contain the planets Mercury, Venus and Earth, each in proportion to their actual size and arranged according to their proportional distance from one another in space. To maintain this concept, the rest of the planets had be installed outside of the gallery, which leads a dedicated viewer on a walking tour of Beverly Hills. Maps are available at the gallery. The furthest is the dwarf planet Pluto, almost a mile away, on view at Jersey Mike's Subs. The shows continue to December 16.